I am delighted to let you know that my photograph titled “The Five Musketeers”, taken in Maasai Mara in Kenya in 2018, has been Highly Commended in International Color Awards 2019 (USA). This year the contest received 11,829 images created by photographers from totally 79 different countries. 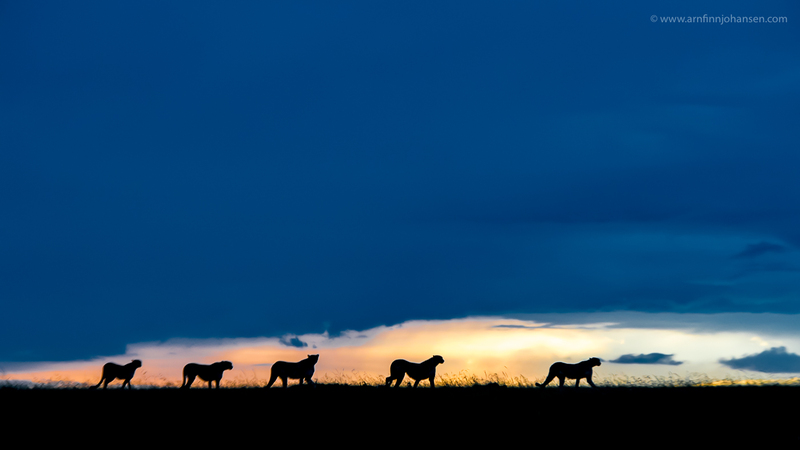 The photograph of the five cheetah brothers on the prowl won an Honorable Mention in the Silhouette category. A great tribute to Oltepesi Tented Safari Camp in Maasai Mara and their high skilled guides. Without good guides who also are experienced working with pro photographers, being in the right position for the shot like this would not possible. Thank you! Click on the image to enlarge and see it in 1400px quality. Honorable Mention in International Color Awards 2019.